The Voyager 1 was a very exciting project by NASA that has paid big dividends. The images that it has captured has given us so much knowledge over the years. There is still more to come. The Voyager 1 will be the first ever manmade object to go beyond the Sun's sphere of influence. The heliopause is the region that Voyager 1 will cover in the next two years before moving out into the Milky Way. It will be interesting to see what information Voyager 1 can send back to Earth after having done that. 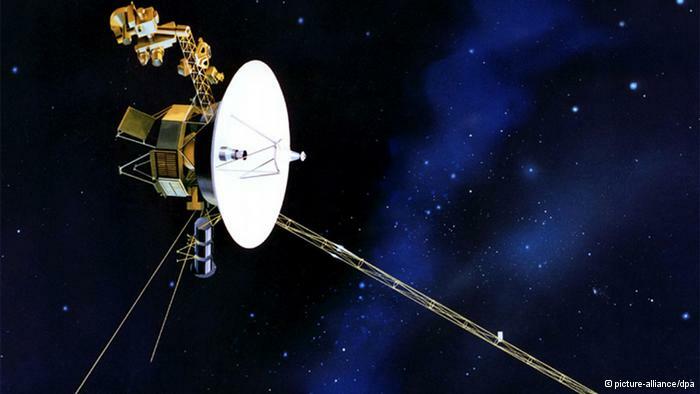 But the Voyager 1 mission is running overtime as it was only expected to last five years. Even the instruments that it has are pretty basic with a computer that has only 68 kilobytes of memory. This is a far cry from the type of technology the Curiosity Mission to the Red Planet possesses. Additionally, the Voyager mission utilized gravity assist that was available through a unique alignment of Jupiter, Saturn, Uranus and Neptune that occurs once every 175 years. The Voyager 1 mission continues to enlighten scientists and astronomers about the solar system. But it is expected to stop functioning in the next decade by 2025. That would be pretty disappointing as the mission is carrying the Voyager Golden Record with the "Sounds of Earth" and other information about the Earth, which Stephen Hawking felt was a bad idea. I know the Voyager probe has done so much and with all the current problems, I sincerely hope we can get another mission like this done and which can go much further.